Page: blank. With its top-quality drivers and tri-laminate enclosure of, inside to out, soft/medium/hard layers, the Codex is essentially a tabula rasa. With your choice of gear, you write on it as you see fit. 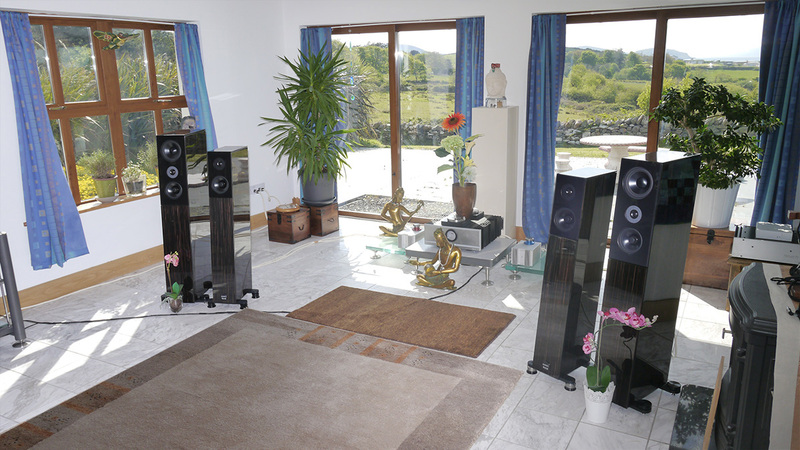 Unlike deliberately warm speakers which can only be made warmer, never cooler, a blank-state design can be moved in either direction. Remembering Sparkos Labs' discrete opamps, I rolled those into the nCores' input buffer in lieu of the Sonic Imagery stacks. Presto, an instant 'deep triode' makeover. I didn't stick with it long. It ate too much fine detail, obscured the top end and reduced visibility at very low volumes. Experimenting with the Nagra Jazz's transformer-coupled XLR outs vs. Metrum Adagio direct sacrificed the very finest upper harmonics just as the Metrum Forte amp did whose 350V transistor gain stage is modeled to clone 12AX7. 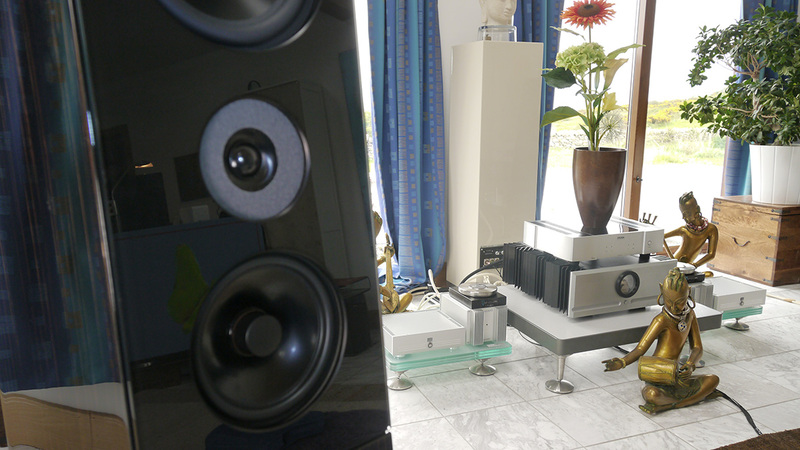 Really, to exploit Audio Physic's tweeter to the fullest relied on the Linnenberg Allegro monos. This segues into a little riff on musical energy. If your room has lots of windows with heavy curtains, compare curtains open to closed. Whatever other good things it might be doing, the heavy drapery will dull a certain liveliness. That spark of life depends on uncut treble energy which the drawn curtains absorb. Liveliness also relies on a good impulse response. This, nomen est omen, leads to impulsive timing which generates speed and verve. Those are intrinsic Codex qualities. Because of it, any stealing with strategic voicing shifts of partnering gear becomes most apparent. With less revealing speakers, you can't miss what you never had. With the Codex, gear choices create keen awareness of even small gains and losses. Some think such higher sensitivity to changes fussiness. I'd call it responsiveness. A performance car too will let you know far sooner that anything is sub par than a jalopy with overdue tuneup and out-of-date plates. Given the speaker's potential, my favourite amps ended up the high-speed Linnenberg monos preceded by the actively buffered no-gain Wyred preamp. Aqua Hifi's R2R LaScala MkII DAC with tube/Mosfet outputs added some mild seasoning for tone density. My choices are immaterial of course. You'd make your very own, possibly wildly different. That's key. 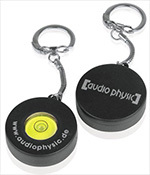 With as responsive a transducer as the Audio Physic, you're not locked in. Neither are you limited to traverse a narrow sector of tunability. You're in full control of your final destination. Like a gamer, your joystick is boss. This applies equally to the volume control. "Of course" you protest. What serious speaker locks you into specific SPL? Actually, many do. To the ears in our household, very few do at the loud end. Most play louder than we want without coming apart. What they'd do at banger levers becomes utterly irrelevant. It's the other end—how quietly they'll go with satisfaction—that's far lossier. Speakers with noisier enclosures, lesser drivers, confused impulse response and an overall warm comfort voicing get too obscure and opaque. Unless their throttle is primed, they just sit there. Here high-efficiency widebanders tend to excel. But they're not alone. Due to its clarity and impulsiveness, the Codex too comes on song very early. That's terrific late at night when the household already sleeps. With a Codex in the living room, you needn't default to headphones. That's a less-mentioned but very practical quality. Because its bass loading is so effective, even LF remain visible far closer to the ambient noise floor than usual; not a horse but hifi whisperer. Yeehush! Siblings: rivalry. Reading how much I'd enjoyed my time with their Codex, Elite Audio's Mark Cargill offered me floor samples of the Avanterra III to keep exploring. That's their next model up. Looking over its descriptions, performance specs proved virtually identical: one Hertz lower bass, 6kg lighter weight. However, arriving at such equality entails four 7" woofers per channel, two each cheek to cheek. The 7" mid-bass coupler of the Codex becomes a second 5.9" midrange. Given my slightly compromised results with the sidefiring woofer of Boenicke's W11—admittedly a 1st-order affair to easily bleed two octaves past its 150Hz hinge and create room issues—I opted against the Avanterra III. I did not think its bass would integrate as perfectly as the hidden 10er of the Codex. Instead I asked for the Avanti one step down. It removes the 7" coupler of the Codex and shrinks its internal woofer to an 8" long-throw unit. It gives up 3 Hertz and 15kg. It goes narrower, shallower and a bit shorter. Of course it's shorter in the wallet too; by half in fact. That's significant. Given how brilliantly the Codex had played our space which is easily twice bigger than standard, the Avanti was probably all anyone would want for a more conventional 5x7 metre room. Was the Codex simply an über Avanti? That'd make the Avanti a baby Codex for smaller rooms. Or, did each exhibit a unique personality profile to appeal primarily to different listener tastes? That'd go beyond just room and wallet size. Graciously, Elite Audio dispatched the Avanti loaners a few days before picking up the Codex returnees. I could conduct my very own in-home dealer demo. Playing punter by proxy, which one would I buy? And why? Going in, my assumption was scenario N°2. Without the Codex's dedicated 100-350Hz driver and a smaller woofer, I expected the Avanti to be tuned for even more greased reflexes, thus also potential to get lean quicker with the wrong ancillaries. I expected a different personality more than a 'shrunken' Codex. With somewhat reduced bass weight and power-zone impact yet the very same midrange and tweeter, I envisioned a slight upshift of the tonal centre to emphasize speed and transparency. That after all would honour a name that means 'forward' or 'ahead' to imply "let's go, let's go; avanti, avanti". Before I closed the book on the Codex, I wanted this comparison to round out the picture. Code: X. If 'x' marked the spot, what did it signify? With the Avanti showing up in matching reddish-brown stripes, the same gene pool was even more in the eye. Sonically, reality and expectations met head-on. Still in their boxes, manoeuvring the newcomers into the sound room demonstrated noticeable weight loss versus the bigger brother. Once playing, this manifested in what sounded like a livelier cabinet, becoming audible particularly in the woofer's upper end. By contrast, the power range wasn't as tautly controlled. Against the drier Codex, it was bloomier. By lacking the extra cone area in the vital transition between midband and bass, perceptional emphasis moved up. Because spec sacrifices in bass reach registered little, the tonal upshift and looser power zone textures caused a bit of hollowness and some whiff-of-port redolence. The upshot was that the Avanti sounded brighter and more forward. Neither was it as unflappable about concealing the mechanical pressure effects of its woofer. Its workings were more apparent whereas that of the Codex was for all intents and purposes invisible. I didn't hear its box. With the Avanti's bass, I did at the SPL our room liked. In this instance, the old dawg of bigger speaker + bigger room = better results learned no new trick. Without question, for our 100m² space I'd pick the Codex. Of course, the law of diminishing returns already ticks with an apparent alarm set to annoy. What - for a somewhat bigger though clearly heavier cab, one extra driver and two extra inches of woofer span, twice the askance? The Avanti brings the same proprietary tweeter and midrange. Those are clearly premium issue. They deliver exactly the same purity and speedy reflexes. So a bit more material for a lot more bread? When presented with the cubic volume to stretch its legs, the costlier package delivered a different quality. It wasn't really about quantity though there was just a bit of that, too. The Avanti was the younger flashier arm candy; slightly brash and showy. The Codex was the more mature experienced self-assured companion. Its composure was calmer, its figure fuller, its presence deeper. Its reading manifested grander gravitas and emotiveness. 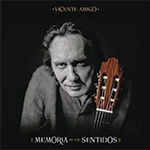 Consider for just one example the musical prayer in the chapel of Flamenco that is the 9-min. "Réquiem" from Vicente Amigo's Memoria de los Sontidos. It starts and ends with bells. Between them appear the full-throttle voices of Niña Pastori, Arcángel, Miguel Poveda, Rafael de Utrera and Pedro El Granaíno each searing into the haunting melody before joining into a charged chorus followed by Vicente's moody guitar closing out. The Avanti played all the same notes and from the central midband on up, perfectly on par. What it didn't do was milk the Moorish pathos and deliver the chicken pimples ... goosebumps in proper Spanish. The Avanti spoke to my brain. The Codex aimed for and hit the heart. Of course once we stop being compadre with comparisons and take things on their own merit, we hop off the giant ferris wheel in the sky. Since I did compare, however... the Avanti pushed the Codex over the edge onto clear award turf. The diminishing law had me hesitate without first sampling the stablemate. Its raw specs are very close. But this is simply where specs can't go. They never communicate the essence of what happens in a room. Very similar ingredients may be assembled into a grander picture to play the game on a higher octave. 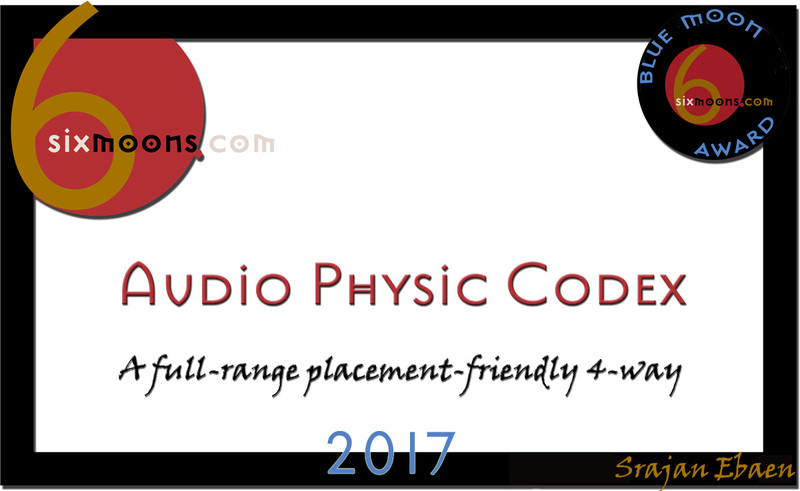 Here that's the Audio Physic Codex. 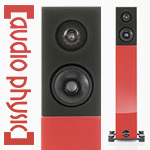 The last speaker that had me this excited—at twice the price—was the Vivid Audio Giya 4. So yes, the Code X has it; big time. This is a very special speaker!